Snapchat is an amazing picture sharing and multimedia application for mobiles which has its fantastic user interface and attractive feature. The best feature is that the shared photos and multimedia files are available for defined time frame before they become inaccessible. So, if you are using Snapchat from a non-official piece of software, you may encounter an error “Could Not Connect– Check your connection and try again.” If you are facing this issue like many other users, you don’t need to worry. 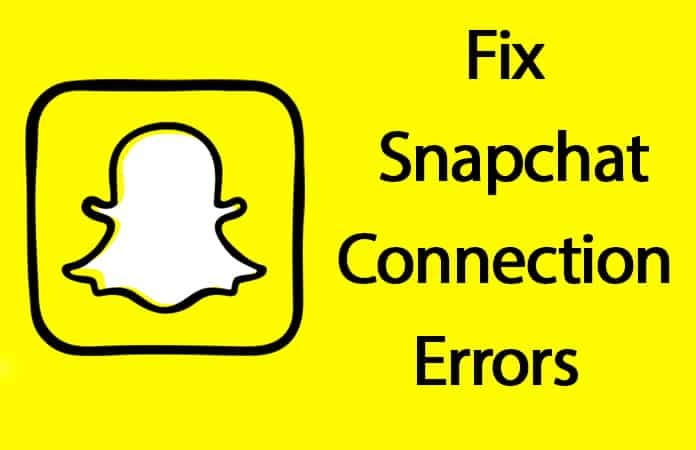 You just have to know its causes and the ways to fix Snapchat check your connection error. To answer such problems, we are providing every solution for this issue. 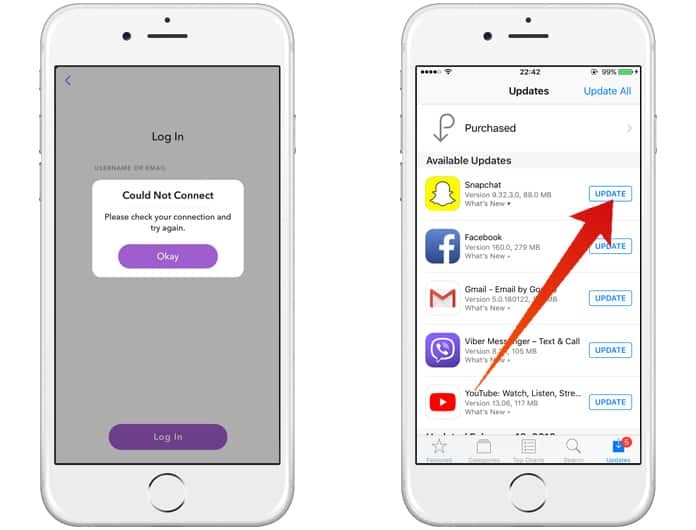 If you want to again enjoy your Snapchat stories, snaps, local updates and photos you need to confirm that you are using the real version of this Snapchat application downloaded from App store. If you are currently using any app like Phantom Lite or Snapchat++ to access your Snapchat account, it is the cause of this type of error. You can use such apps but always use these with their advanced and latest versions. The most recent versions are bug-free and can provide you access to your Snapchat 2018 account efficiently without any error. If you are using old versions of an app to use a Snapchat account, it will cause errors because of the no updates issues. The best trick is to uninstall already installed other app which you were used to getting access to your Snapchat account. After uninstalling that, you have to install the original app of Snapchat from App store. You should choose the latest version to install on your device and use it. We are sure there will be no “Check Your Connection” error anymore. Besides installing Snapchat, you can also try following useful tricks to avoid all errors and use this fantastic app efficiently. You can also update your already installed Snapchat version. It will also download and install the latest version in your device which will remove all possible errors. Step 1: To update, you need to go to App Store and click on Updates button. Here you will see the available updates. Step 2: After installing the recent updates, you have to close and again launch your Snapchat application. 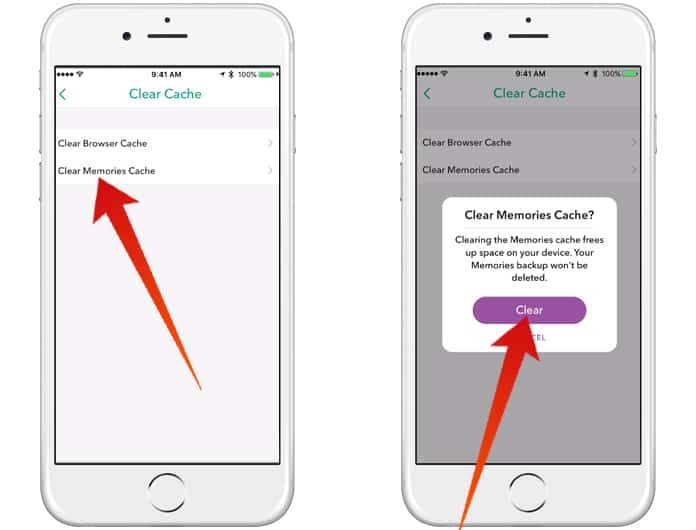 Step 3: Now you need to clear all of your Snapchat caches. To do this you need to open Snapchat -> Tap on Snapchat Settings icon -> Scroll down and tap on Clear Cache. Step 4: After this, you have to reboot your device. Step 5: Above mentioned steps are favorable when you want to get rid of Check Your Connection error. After restarting the device, you need to launch your device again and you can surely use it easily on the long term basis. If none of the above methods is working for you, you should uninstall your Snapchat application. Try to scan your device and remove all possible junk files. After all, you have to install the latest version again on your device. It will surely help you to use the application without any error.